A blind blogger has started a letter-writing campaign asking President Obama to support global access to books for the blind and visually impaired. 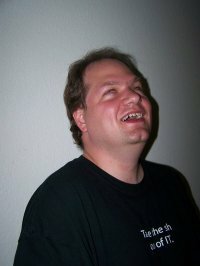 Darrell Shandrow, a technical support engineer who is the editor of Blind Access Journal, is petitioning the White House to direct U.S. delegates in the World Intellectual Property Organization to sign an international treaty that would expand U.S. copyright exemptions to blind and other people with print disabilities in the rest of the world. People with visual impairments are able to purchase “talking” versions of print books under a copyright exemption called 17 USC Section 121 that allows certain authorized organizations to make books accessible without the constant need to obtain written permission from publishers. Organizations include The National Library Service for the Blind (NLS) and Physically Handicapped, Recordings for the Blind and Dyslexic (RFB&D), Bookshare and ReadHowYouWant. Visually impaired persons can “read” these books on a digital e-book player or talking computer. The letter cites real-life examples of students with vision impairments who need help getting the books they need for class. “In college, if my required books were not available at RFB&D, my university had to do the recordings, which meant in a lot of cases that I only got to read the pages that my professor required,” says Alena Roberts, a graduate of the University of Oregon. Shandrow is also asking the White House to support efforts by the National Foundation for the Blind and other groups that are seeking ways to force publishers to adapt information so that it is accessible. At the heart of the issue is the Kindle, Amazon’s e-book reader. While the Kindle provides voice output capabilities, publishers and authors retain the right to disable the voice feature. Random House, one of six major U.S. publishers, chose to sell their Kindle electronic books with the text-to-speech feature disabled, effectively ignoring blind customers who say they’re willing to pay for the books just like sighted users — as long as the content is accessible. “Internationally, the World Blind Union says that people with print reading disabilities are granted access to less than five percent of all reading material available to the sighted. I believe that, were your closest friends and relatives locked out of 95 percent of the world’s books, you and Michelle would be insisting on change now,” Shandrow writes. Shandrow is asking Americans to write to President Obama, and for non-American citizens to write to their nation’s leaders. Read a Q&A with Bookshare’s founder and CEO. Read more about blind advocacy groups protesting the Kindle. I wish all blind a life in peace. Most people don’t have a life in peace because of what they see, and what they react in response.